An avid chamber musician, Chen has performed with Daniel Barenboim, Itzhak Perlman, Pinchas Zukerman, Yo-Yo Ma, Lang Lang, Christoph Eschenbach, Myung-Whun Chung, Emanuel Ax, Mitsuko Uchida, Lynn Harrell, and János Starker. A frequent participant at numerous festivals including the Aspen Music Festival, Santa Fe Music Festival, La Jolla Chamber Music Festival, and the Schloss Moritzburg Festival, he also has toured extensively with Musicians from Marlboro and was a founding member of the Johannes Quartet. 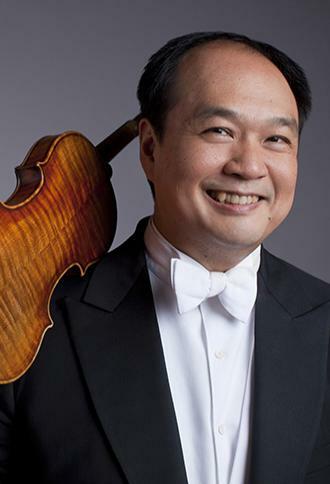 A native of Taiwan, Robert Chen began his violin studies at the age of seven. He continued his studies with Robert Lipsett when he and his family moved to Los Angeles in 1979. While in Los Angeles, he participated in Jascha Heifetz’s master classes. Chen received both Bachelor’s and Master’s degrees in music from the Juilliard School, where he was a student of Dorothy DeLay and Masao Kawasaki.